1. 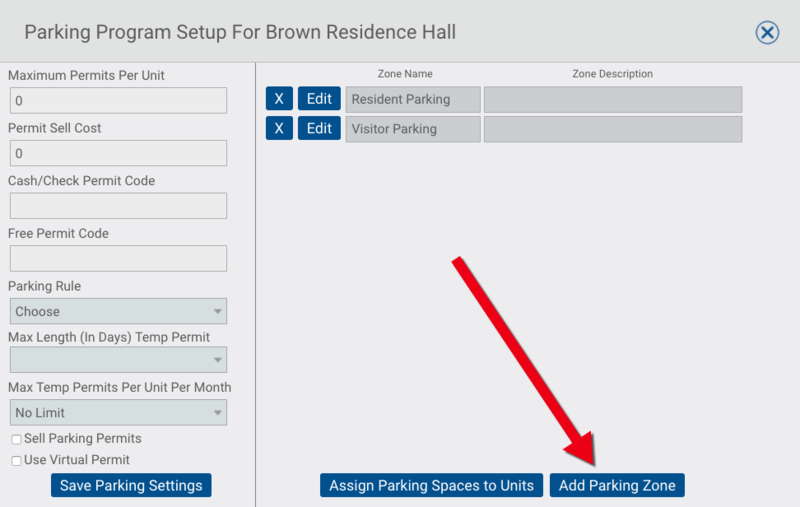 Turn on the Parking Program under Property Details. 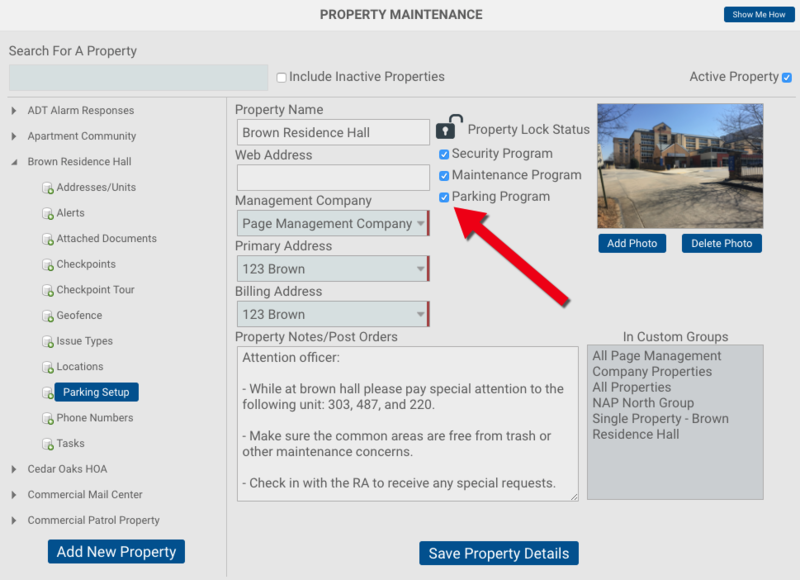 To turn on the basic parking program go to: Properties >> Property Maintenance >> Select a Property >> Click the Parking Program Box >> Save Property Details. You'll need to add parking issue type the same way you've added security and/or maintenance issue types in the past. To add a parking zone open the property under the property maintenance section and click Parking Setup. Note: All other options on this screen are associated with the advanced parking tool. For basic parking you'll only need to add a Parking Zone. Depending on the property, there may be only one parking zone. Example parking zones are; General Parking, Resident Parking, Visitor Parking, Open Parking, Reserved Parking, Garage Parking, Covered Parking, etc. Silvertrac allows you to track Address, Unit, and Resident history for parking violations. To do utilize this feature you'll need to setup the proper addresses and units in the system. Click here to learn how to add addresses and units. Locations provide additional details in your reports without relying on the officer manually inputting these details. Location examples are: West Parking Lot, East Parking Lot, Front Entrance, Fire Lane, Handicap Parking, Dumpster Area, Loading Dock, etc.